Build solid skills on the foundation year and advance to an honours degree where you can transform your passion for sport into a career. It’s an ideal route for those without formal qualifications. Our foundation year will help you hit the ground running if you want to gain a respected honours degree in Sport and Exercise Science. This is a challenging and action-packed course for anyone with a keen interest in the science behind sport and exercise. 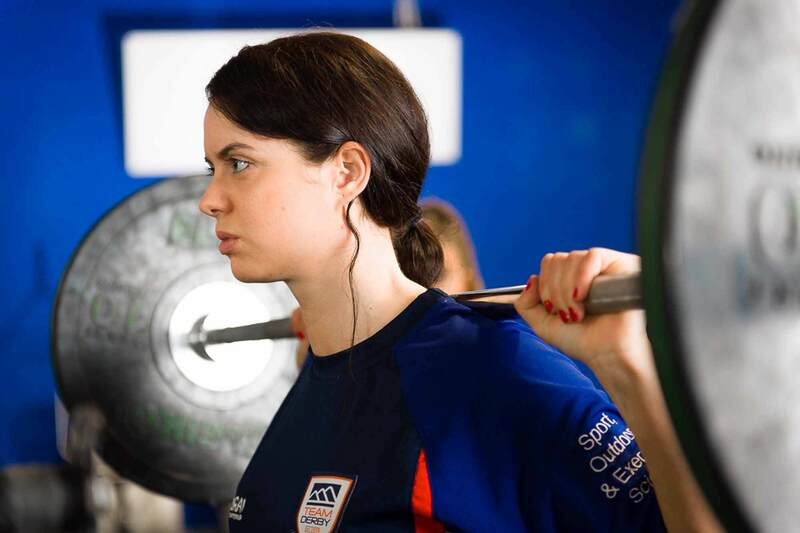 Taking our foundation year route is an excellent choice if you have the ability and enthusiasm to study an honours degree at Derby but don’t possess the formal entry requirements to go straight onto our acclaimed BSc (Hons) Sport and Exercise Science. It also gives you a vital grounding in the subject if you are considering taking a new career direction. From day one, you’ll have all the benefits of being a University of Derby student, plus extra support to build your knowledge, skills and confidence. Your foundation year will boost your knowledge of sport and exercise, human anatomy and physiology, human behaviour and physics, while equipping you with essential skills in scientific study, research methods and data handling. Our degrees with a foundation year are continuous, so you won’t need to apply again to progress to the first stage of the BSc (Hons). It means you can achieve your full honours degree in four years. This exhilarating course deepens your understanding of the science behind sport and exercise, so you’ll investigate the roles of biomechanics, physiology and psychology in sport performance. We place great emphasis on helping you realise your career potential. You can tailor your studies to match your career plans by selecting modules in specialist areas such as nutrition, performance analysis, and strength and conditioning. Masterclasses delivered by sport and exercise science professionals will also give you insights into the employment opportunities which lie ahead. Practical scientific skills lie at the heart of this degree. When you graduate, you will be fully equipped to test and measure health and fitness, using the latest computer software to analyse performance results. Having experience in the workplace makes a notable addition to your CV, so we support and encourage you to undertake placements and internships with sports clubs and other relevant employers. Our students have broadened their professional perspectives on placements with the likes of Derby County FC, Leicester City FC, Burton Albion FC, Leicester Tigers RFU and Derbyshire County Cricket Club as well as local schools, hospitals and leisure centres. Some have secured employment thanks to their impressive performances on placement. Our Sport and Exercise Internship Programme offers another exciting route for you to gain real-world experience as you prepare for life after study. You could apply for an internship supporting athletes at the local sports clubs which regularly approach us for assistance. Our students have performed key roles with organisations such as West Bromwich Albion FC and Team Derby. 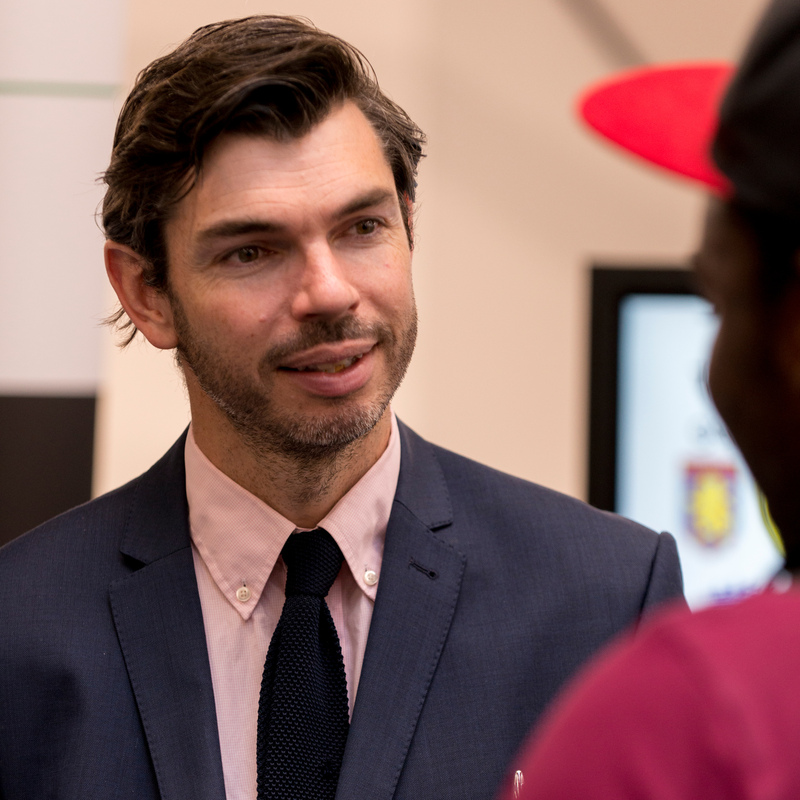 Our growing links with sports organisations mean that, in future, we will be able to offer even more opportunities for you to boost your employability and build your professional networks in this way. Mature student Nichola Davis left school with few formal qualifications but is now taking part in funded research as part of her BSc after joining us for a Foundation Year. The University of Derby is serious about sport. That commitment was underlined by our investment in an award-winning £10.8m and cutting-edge sports science facilities. The multi-purpose sports centre includes a main hall, fitness gym with strength and conditioning area, studios, squash and badminton courts, an internal climbing wall, sprint track, changing rooms, treatment rooms and a café. It complements other facilities such as floodlit all-weather pitches and tennis courts. As a Sport and Exercise Science student, you’ll also get to grips with latest technology to test and measure the parameters of health and fitness in our and biomechanics laboratory, harnessing a full range of computer software packages for statistical and movement analysis. In addition, we have a specialist suite for those following the strength and conditioning pathway, where you’ll discover some of the best lifting equipment available. If you want to take part in recreational sport – whether as a first timer or as an elite performer – we have a 44-station fitness facility at our Kedleston Road site, equipped with Technogym and Wellness system technology. One of the most important aspects of this course is the chance to undertake your own research into a sporting theme of your choice. Your independent study will take up a significant proportion of your final year and culminates in a one-day conference where you and your fellow students will present your findings. Some of our students have even had the privilege to showcase their research work nationally at the annual BASES Student Conference. They have also secured coveted places on the University’s Undergraduate Research Scholarship Scheme (URSS) to carry out supervised research over the summer break. Such experiences will broaden your skillset and give you an insight not only into the value of sport research but also the career pathways it can open up. Nichola Davies, BSc (Hons) Sport and Exercise Science with Foundation Year student, became interested in research after volunteering to be a participant in various research trials, this encouraged her to apply for research itnerships at the Univeristy. For inspiration with your research, you need look no further than our own team of highly qualified, enthusiastic and forward-thinking sport and exercise science staff. They include accredited professionals who are members of leading bodies such as BASES, NCSA, CIMSPA and the UK Strength and Conditioning Association. You will receive high quality teaching and support from lecturers who are actively involved in research, high-performance sport and applied sport science consultancy. They are pioneering wide-ranging research projects into topics such as performance profiling, injury rehabilitation, human balance control and neuromuscular fatigue. We offer you an exciting chance to gain additional professional qualifications to complement your honours degree studies and to build your confidence, communication and leadership skills. Recognised and highly valued by employers, they include National Governing Body coaching awards and the Chartered Institute for the Management of Sport and Physical Activity (CIMSPA) Higher Professional Diploma. If you are interested, we can also prepare you for National Strength and Conditioning Association (NSCA) certification. We’re one of only four universities in the UK acting as an accredited centre for the association’s Certified Strength and Conditioning (CSCS) awards. Challenge yourself further still by engaging with Team Derby, the focal point for the University’s wider sporting community. You can develop your prowess in specific sports through our vast array of clubs and even compete on a national level. Team Derby is represented at British Universities and Colleges Sport (BUCS) competitions in a number of sports. You’ll study the core science subjects of physiology, psychology and biomechanics, and have the opportunity to choose from specialised areas such as nutrition, performance analysis and strength and conditioning. This will enable you to follow your interests and tailor the course to your career aspirations. We take pride in the teaching and learning experience of our students. You’ll learn through lectures, practicals, and seminars, all of which take place at our Kedleston Road site. We have received particular praise from external reviewers on our innovative use of practical assessments, which take place in our new specialised facilities. These are carried out alongside written coursework, verbal presentations, and examination-style assessments to create a well-balanced assessment portfolio. As a Sport and Exercise Science graduate, you can look forward to a fulfilling career. Our recent graduates are now succeeding in roles such as sports coach, performance analyst, physiotherapy assistant, health advisor and cardiac physiologist assistant. Alongside your subject-specific knowledge, you will graduate with high-level skills in communication, problem-solving, research and presentation to help set you apart in the competitive graduate job market. If you’re interested in postgraduate study, you don’t have to leave Derby to realise your ambitions. 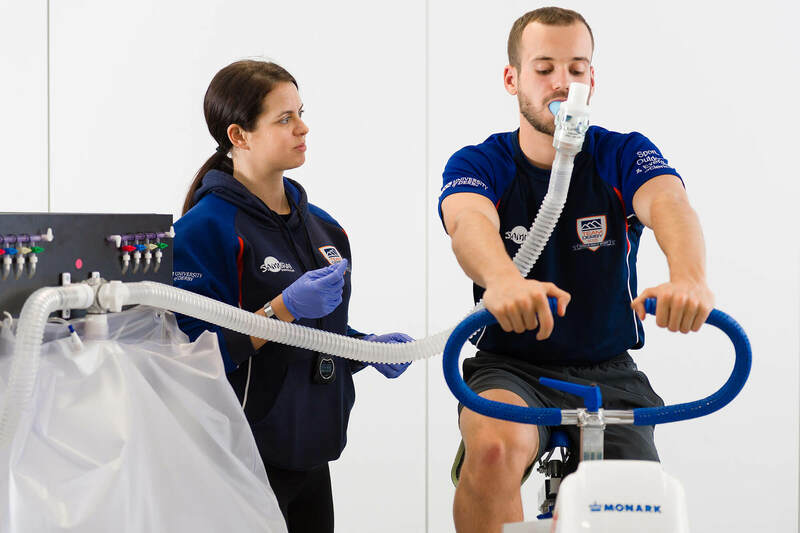 We now offer the MSc Applied Sport and Exercise Science – which includes Sport and Exercise Psychology or Physiology pathways – where you can develop advanced knowledge in your subject. Another avenue is our MRes (Sport and Exercise) where you can further your applied sport science and research skills. Both courses feature the chance to foster your teaching abilities and could even put you on the pathway to PhD studies. 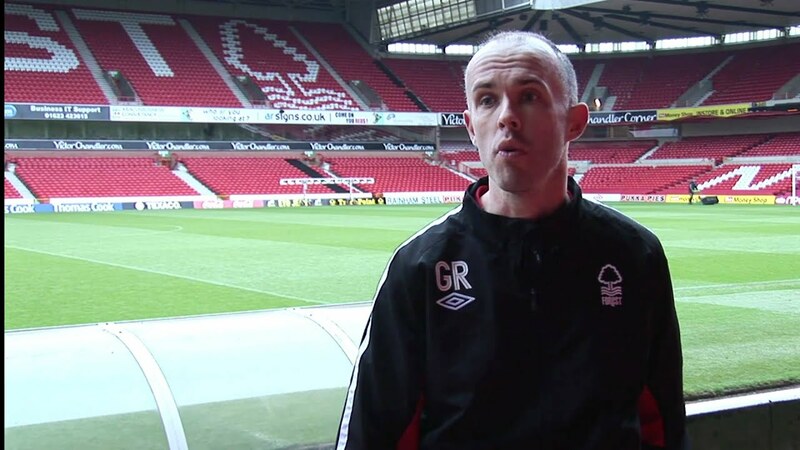 Graduate, Gareth Richards, went on to work for Nottingham Forest Football Club as a Strength and Conditioning Coach. Graduate, Nicola Thorpe, went on to work for England Netball once she had graduated from the course. "I am a Netball Development Officer covering Nottinghamshire and my main role is to encourage more people to play netball. I work closely with clubs, schools and other partners. This course definitely helped me to get the job and there are aspects that I learned on the course that I use in my day to day job." Mark Faghy, who graduated with a First Class Honours degree, went on to study a PhD at the University. "The applied nature of the course was something that was eye-catching on my visit to the University on an Open Day. From day one of the course this was apparent, with lots of practical sessions and hands-on work throughout a number of the modules on the course. As a person who learns by doing, these activities were fantastic for me in my development. The course and facilities were constantly developing and improving, allowing me to develop a broad set of skills that covered a number of key disciplines within sport science". Graduate, Luke Jenkinson, started working at Sheffield United Football Club as a Strength and Conditioning Coach after graduating. "I'm a UKSCA Accredited Strength and Conditioning Coach working at Sheffield United Football Club. I am responsible for the athletic development of players ranging from under-8's to under-21's. I also develop and implement athlete centred interdisciplinary strength and conditioning programmes that operate throughout the whole club in line with the philosophy." Graduate, Calum Hayes, now works at Walsall FC, providing pre-match and post-match analysis, as well as individual player analysis. "The physiology and the psychology captivated me and have provided me with a sound understanding from which to excel in a multi-disciplinary working environment. Coursework and deadlines mimic the real working world. The whole course is designed with an emphasis on gaining skills that are desirable and essential to prospective employers."